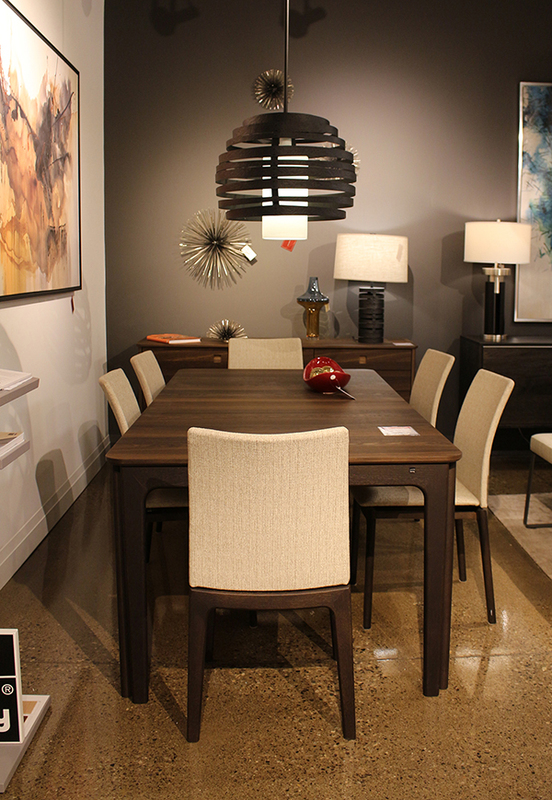 Skovby SM-27 Extendable Dining Table – Floor Model Shown in Smoked Oak. Skovby SM-300 Sideboard – Floor Model Shown in Smoked Oak. 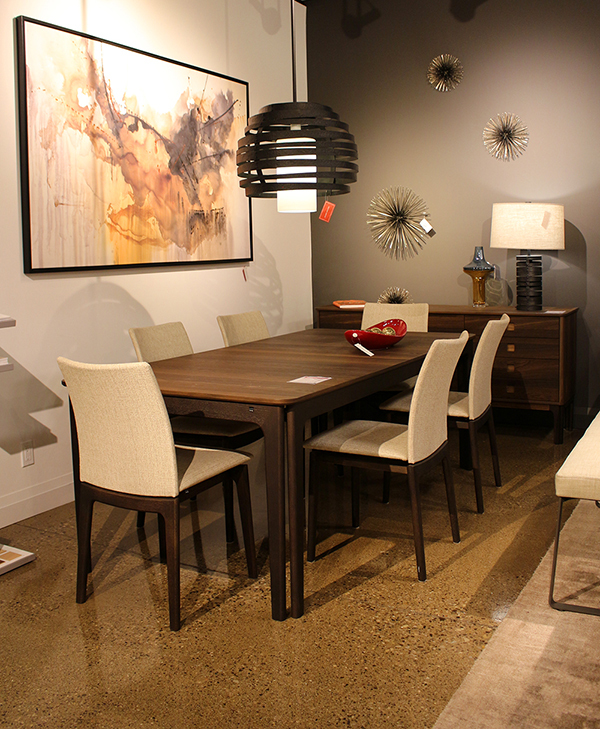 SM-63 Dining Side Chairs – Floor Model Shown in Smoked Oak & Fabric. The design of the table is retro inspired but at the same time it has a modern expression. The rounded off corners of the tabletop and the interplay with the double legs give the table a vividness but also a visual tranquility. The proportions are well balanced. The table #27 has room for eight people in its basic position. It also includes three extension leaves stored under the tabletop, but can extend with an extra three leaves giving a total seating capacity of 20 people.